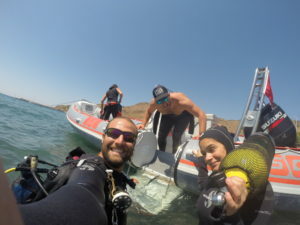 If you don’t have any active diving certification or you are OWD, AOWD or Rescue diver and you are dreaming to become a Divemaster during this summer, this internship is for you. 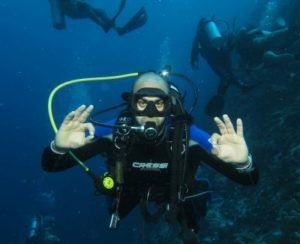 During this internship you can go through all four PADI certification courses – Open Water Diver, Advance Open Water Diver, Rescue diver and Divemaster. 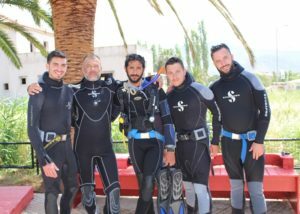 Additionally, if you finish internship with us, you will be able to involve in Instructor Diver Course (IDC) in Athens or Thessaloniki with 50% discount. Prerequisites: Fluent in English languages (speaking and listening), Dutch or/and German are advantageous. We are covering: all PADI learning materials, all theoretical lessons, all practical lessons, PADI certification fee (Open Water, Advance Open Water and Rescue diver), diving equipment and boat. We are not covering: accommodation on the island, transportation from your home to Lesvos island, food, PADI certification and membership fee for Divemaster. You are Rescue diver (or you hold any other equivalent certification) and you want to go “deeper” with your knowledge and achieve first professional position in diving community, then this internship is for you! For three months with us you will gain confidence in management of diving center, in diving, on the boat and in assisting other diving professionals in teaching. Additionally, on termination of this internship, you will be able to involve in Instructor Diver Course (IDC) in Athens or Thessaloniki with 50% discount. We are covering: all theoretical lessons, all PADI learning material, all practical lessons, diving equipment, boat. We are not covering: accommodation on the island, transportation from your home to Lesvos or Kos, food, PADI certification and membership fee for Divemaster. We can help you with: finding cheap accommodation on Lesvos (170 – 200 euros/room for one or two persons) or Kos and giving you any other information before and during your stay. 1.) Support of the team. 2.) Diving base management. 3.) Taking care of safety and cleanliness of the diving base. 4.) Boat management. 1.) Gain knowledge in diving and diving base management 2.) Gain experience in teaching by assisting to the instructors 3.) Get to know Aegean marine environment 4.) Gain competence in conducting and organizing events in diving center 5.) Gain multi-cultural working experience. Immerse yourself in completely different summer experience and join out team this year! We are waiting for you!